Over the past fifteen years, Electronic Signatures have risen to become a crucially important mechanism for business, public institutions, and individuals. e-Signatures are used to execute all types of agreements, including vendor transactions, sales contracts, HR agreements, and more. e-Signature software is designed to meet legal standards while drastically saving time and resources. Double authentication keeps documents secure and confidential. 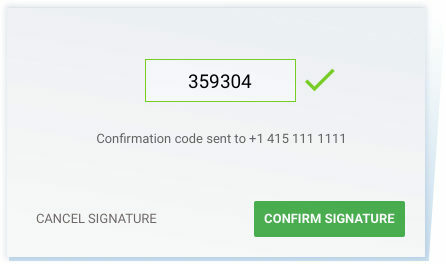 Concord’s e-Signature allows you to easily invite multiple signers to affix secure electronic signatures online in moments. Digital signatures are fast becoming the new world standard, and as such, Concord provides unlimited e-Signatures. 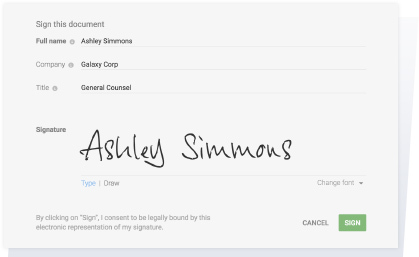 Create an unlimited number of e-Signatures on an unlimited number of documents, from an unlimited number of signers with Concord. 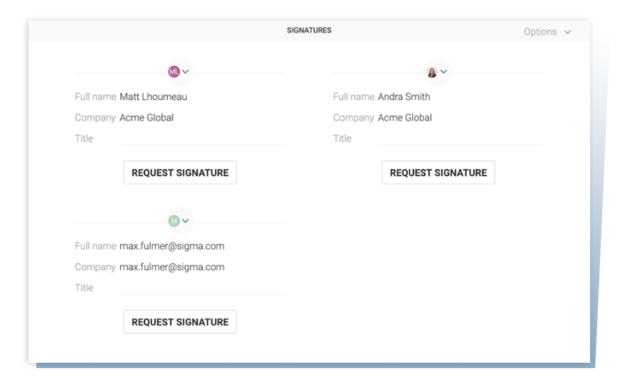 Whether you need to sign a single document or a thousand, Concord makes it easy by allowing multiple documents to be signed at once. Used for document signatures in more than 110 countries, Concord’s e-Signature technology is designed to meet key legality requirements of all major regulations across the world, such as U.S. Uniform Electronic Transactions Act (UETA), and the European Union EC/1999/93 Directive. Invite an unlimited number of people to participate in document execution. With e-signatures, getting twenty different signatures is no more difficult than getting two. With Concord, anyone can execute a signature, either as a customer or as an invited guest. Execute documents online with the confidence that they will be secure when using double authentication. Use double authentication codes to validate a signer’s identity before they sign a document on Concord. Send authentication codes either by SMS or email, and set company preferences to require all users and/or third-parties to use double authentication for added security.